Custom shapes for case cards!? Mind. Blown. 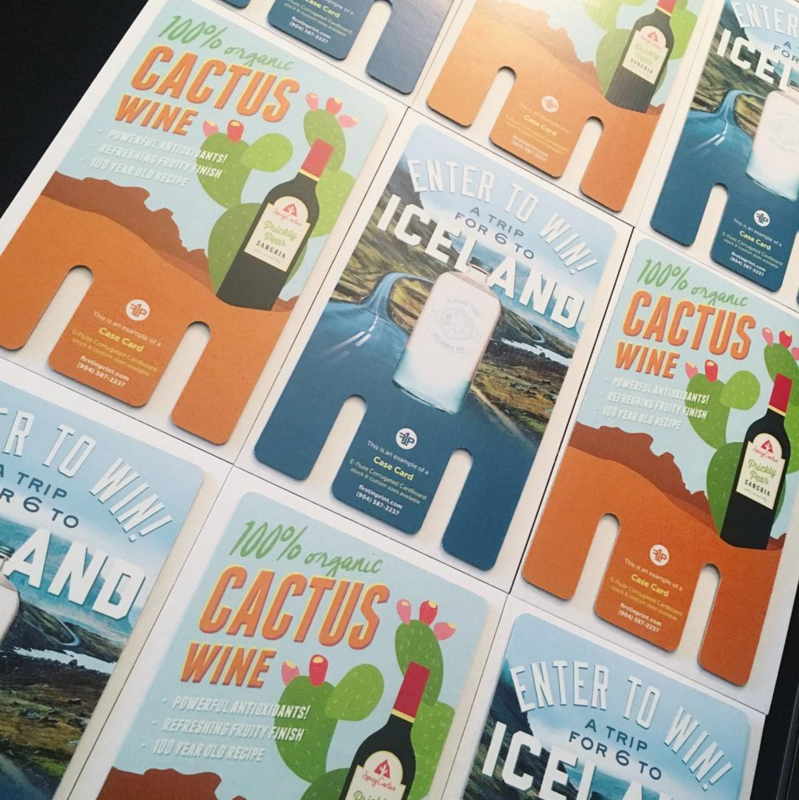 We know Case Cards attract customers and increase sales in a big way, but did you know these mini billboards can be any shape you want? Think outside the box and intrigue shoppers with something truly magnificent – Custom Case Cards are now just a click away! select quantities of custom case cards! 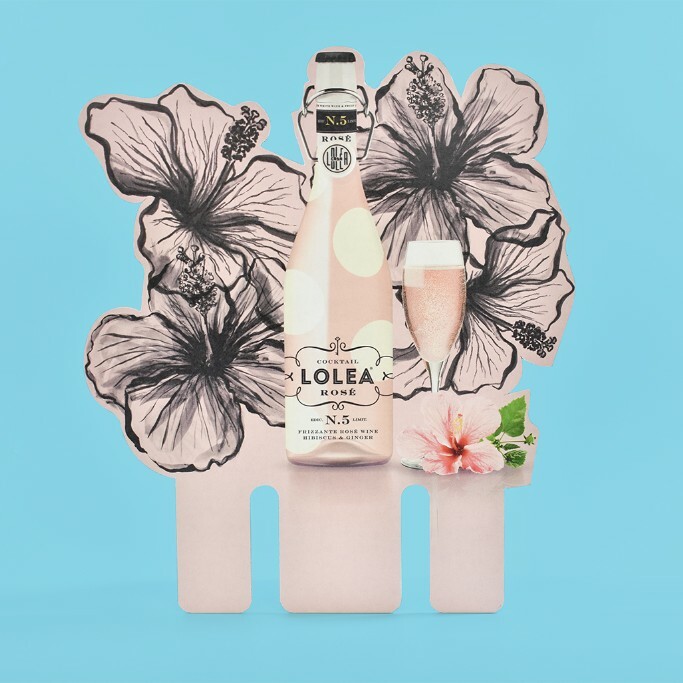 Lolea loves to get fancy with their case cards – and we love producing such eye-catching beauties as these highlighting their Rosé Cocktail. What? Why is this case card upside down? 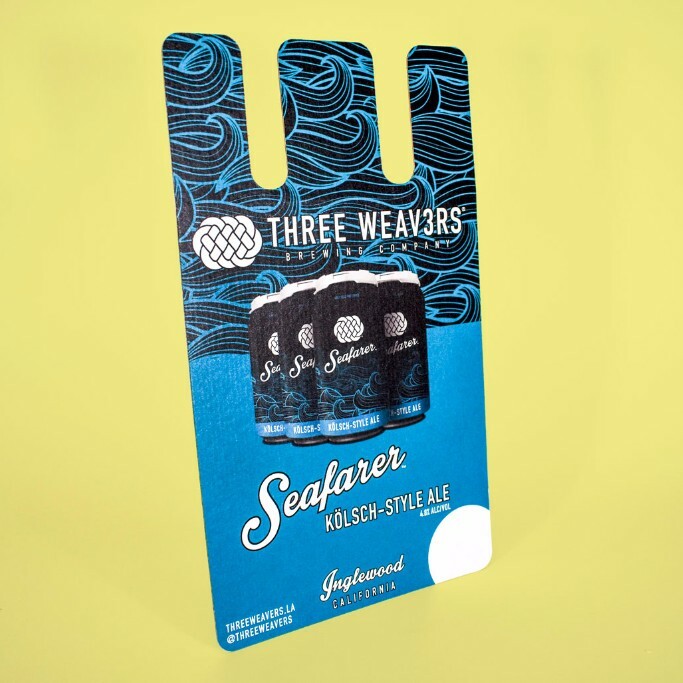 Take a look at how Three Weavers Brewing Company got extra creative with their display! 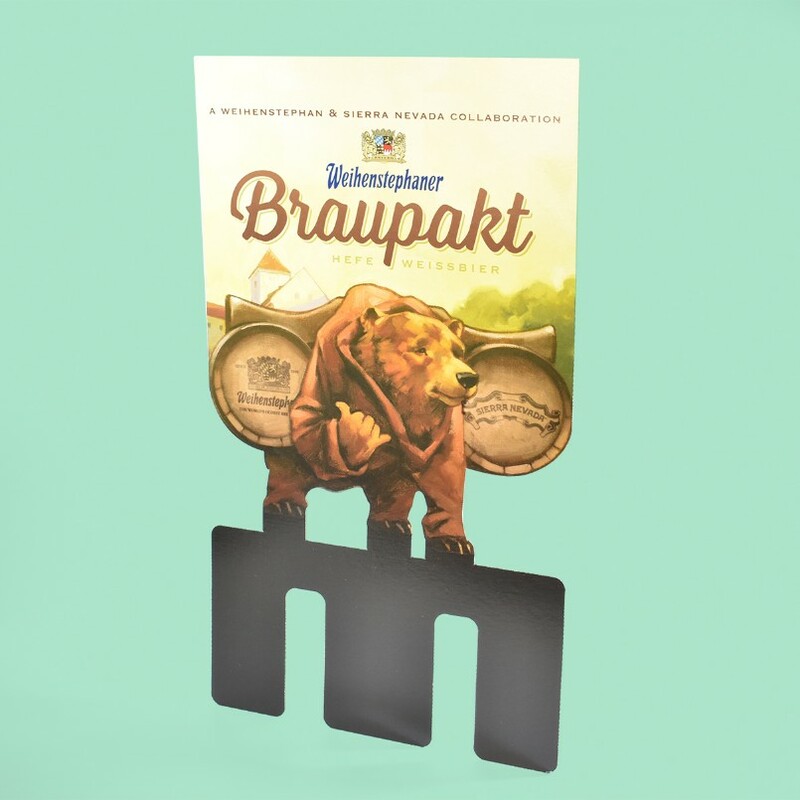 The cut-outs on these custom cards are a unique way to draw attention to the chill Braupakt bear! What surprise details could yours have? We know you’ll be impressed by the quality of these Case Cards. Request a sample pack today to get touchy-feely with mini samples!